What does Sushanta mean, details, origin, short & easy attributes? Name Sushanta generally means Quiet or Peaceful, is of Indian origin, Name Sushanta is a Masculine (or Boy) name. Person with name Sushanta are mainly Hindu by religion. Name Sushanta belongs to rashi Kumbh (Aquarius) and Nakshatra (stars) Sathabisham. Sushanta is baby girl name mainly popular in Hindu religion and its main origin is Hindi. Sushanta name meanings is Very Calm, Placid. Sushanta is written in Hindi as सुशांत. Each letter meanings in Sushanta Name. Popular personalities with Sushanta Name. 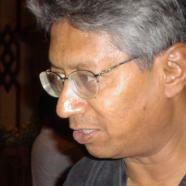 Sushanta Dattagupta is a condensed matter physicist, academic, and condensed matter physics. Sushanta was born on December 19th, 1947 in Kolkata, West Bengal, India.